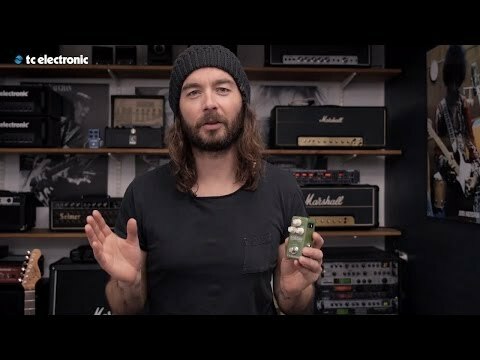 From subtle swells to full on Leslie sounds, the classic SCF sound and a huge sounding-trichorus, we've condensed that and so infinitely more into a tiny pedal! No matter what your chorus-needs may be, you can find just the right sound here - in a pedal that takes up next to no space on your board! We've also added a Tri-Chorus, three chorus engines that run simultaniously for a sound so awesome you should wear a helmet the first couple of times you play it. Just so your brain doesn't splatter all over the place when the sound blows your mind.